At Playworx, we provide fun that lasts! We know outdoor play is extremely important to the development of all children. Our commercial playgrounds are designed with safety and durability in mind, so you always know that you will receive the highest quality products. Whether you are looking to add a new playground or replace an old one, our play structures and design capabilities will not disappoint. Playworx Playsets offers commercial playground equipment, surfacing, site amenities, water play, outdoor fitness equipment, installation and much more! Let us design your commercial playground structure! A member from our team will make a site visit to assist you in designing the playground of your dreams. Little Tikes Commercial playground equipment is modular so we have endless options that will fit your within your designated space, meet your needs, exceed your expectations, and delight your kids. Let us take some work off your shoulders! We have the capability to provide you with turnkey commercial playground equipment installation. Our in-house playground construction crew is factory certified and fully insured. Serving all of Florida and Georgia. We would be happy to help you out with replacement parts and general maintenance. Our service warranty takes the headache out of playground maintenance. Our installation crew will replace any items covered under the manufacturers product warranty for free of charge. This is a value added service that makes it easy to work with Playworx! The core of your playground. This is the cost of equipment and any accessories that you might choose to customize your play structure. Safety starts from the ground up. We advance kid safety (and follow industry regulations) by requiring proper safety surfacing under every play structure we sell. From our door to yours, professional shipping gets play equipment and surfacing delivered to your site factory-fresh, on-time and ready to be installed. If you can dream it, we can build it. Then we identify the right installer to assemble your brand new play structure properly. 1. 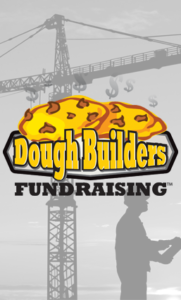 Call 1-800-960-2014 and express your interest in the Little Tikes Commercial DoughBuilders program. 2. Receive your packets and start your campaign. 3. Make up to 50% profit, PLUS receive a $2 GRANT from Little Tikes Commercial for each item sold – that is up to 62% total profit. 4. 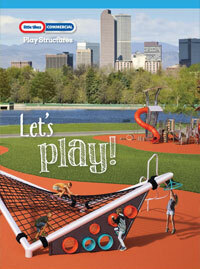 Choose the playground of your choice with your Little Tikes Commercial representative. Our playground equipment funding provides a flexible, cost-effective means of completing essential renovations. It’s easy-breezy (technically speaking). Your local sales representative can walk you through your options. A national public service agency committed to serving our Members nationally and locally through a variety of valued programs. As a public agency, we are committed to providing cooperative solutions that assist Government and Education entities as they strive for efficient public service.